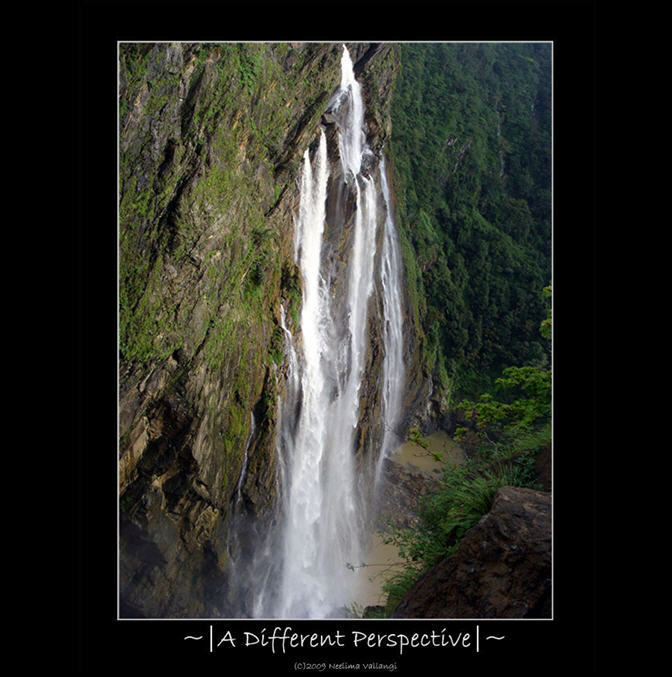 Photo of the Week - Jog Falls, A Different Perspective ~ The Wandering Soul's Wander Tales.. Jog Falls over the river Sharavathi in Shimoga District of Karnataka are India's highest plunge(untiered) waterfalls falling from a height of 830ft! Such a gorgeous picture! Vertigo inducing. lovely image. During my visit in Dec, it was just Jog rocks. Thanks for your comment at Blogtrotter, which has some more Rural Iceland before heading to the Blue Lagoon. Enjoy and have a fabulous weekend! @ Bindu - Thank you.. :) It was very frightening to look from the top into the falls..
And i just came through an interesting piece of information.. seems the gates are opened every year on the 15th of August. Maybe i can get a chance to view jog falls in full glory atleast once..
Hi, although the gates are opened during August, you should be really lucky to see the waterfalls, bcos of fog. Only if there is strong wind and the sun does not behind the clouds, you will be able to see. This indeed is a very fiddrent perspective. haven't seen rocket, raja and gang, this way before. the height of the water fall and the perspective you have chosen makes this a beautiful image! @ Which Main? What Cross? - Thanks .. :) Jog falls from this view point was awesome.. i actually could comprehend the height of the falls from here..
indeed a different perspective. where did u shoot it from? Oh! I've heard about and have seen photos of the Jog falls, but have never seen this perspective! do Keep visiting for more such pics..
Nice perspective - hopped thro Bhusha...had a quick glance, some kewl pics u got here. Cudn't c many, 4 some reason! @ Sujay - Thanks and Welcome to my blog! I keep sort of...tilting my head when I look at it. It's engaging.